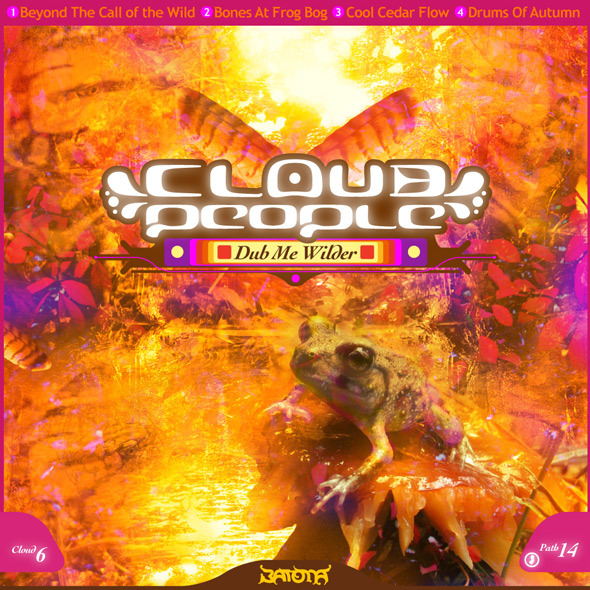 Cloud People | Cloud People "Dub Me Wilder"
Dub Me Wilder by Cloud People What feels wilder than dub? That's what we hear in the pines, and we don't know any sounds wilder. Inspired, we tried to express this in these recordings and productions. Drums Of Autumn and Bones at Frog Bog were started in the fall of 2001. The former has changed very little since then, while the later developed over the years since. Beyond The Call Of The Wild and Cool Cedar Flow were started in summer 2010, inspired by time in and around cedar streams out near Hawkin's Bridge in the pines. These tracks capture something of September and October, and hopefully can be taken out and ritualistically enjoyed every year, something like Halloween and the rest that goes with the season.